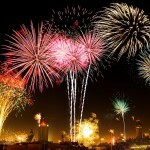 Happy New Year From SecurityCamExpert.com! It’s been another great year providing you with the quality security cameras and surveillance systems you deserve. We have had the great pleasure of serving our fine customers, both old and new, and look forward to continuing this into the New Year. What were your greatest achievements of 2016? What do you look forward to the most for 2017? Share with us on Facebook, Google+, Twitter, LinkedIn, and Pinterest. As a friendly reminder, we will be closed on Monday, January 2, 2017. We appreciate your understanding, and from everyone at SecurityCamExpert.com, we wish you a happy and prosperous 2017! SecurityCamExpert.com Sends Warm Wishes For The Holiday Season! The holiday season is here and everyone at SecurityCamExpert.com is grateful for another year filled with your loyalty and support. We value each and every one of you, which is why we are always working hard to provide you with the quality products and service you deserve. As a reminder, we will be closed on Monday, December 26, 2016, in observance of the Christmas holiday. Our normal business hours will resume on Tuesday, December 27, 2016. We apologize for any inconvenience and appreciate your understanding. 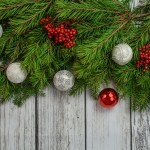 From the SecurityCamExpert.com family to yours, we wish you a happy and safe holiday season!